Our office has a doctor, Dr. Lisa Przybysz, who has special training in maternity and postpartum care. Regular chiropractic care is an important integral part of prenatal and postpartum care. Pregnancy is a time of change for you and your body. Chiropractic care aids in the process by which your body adapts to these new and complex changes. Your nervous system controls all functions in your body including the process by which your unborn baby develops and your body changes. Freedom from any type of interference to your nervous system is vital for the development and support of a healthy baby and mother. A mother’s weight gain during pregnancy averages around 30-40 lbs. Pre-existing unnoticed imbalances in your spine and pelvis become overtaxed during these times. The added stresses lead to discomfort and difficulty while performing routine, daily activities. These postural imbalances in turn affect nerves, muscles, and the mobility of joints. Studies show that about 50% of all pregnant women experience low back pain during their pregnancy. Other issues that women experience, often for the first time, include but is not limited to: headaches, sinus congestion, nausea (morning sickness), and rib pain. Chiropractic care can enable a woman’s body to more easily adapt to these changes and in many cases ease all of these discomforts. Chiropractic care is tailored to the ever changing pregnant woman. We use techniques and adjusting tables that were specifically designed and developed for pregnancy. Both doctors in our office are certified in the Webster technique. The Webster Technique is a specific chiropractic adjustment that reduces interference to the nervous system, balances out pelvic muscles and ligaments which in turn removes constraint to the woman’s uterus and allows the baby to get in the best position for birth. It is used specifically for women with a baby in a breech or transverse lie position, however it can be used throughout a women’s pregnancy in order to help avoid a malpositioned baby. A 94% success ratio has been noted with this technique and breech turning. If you have entered your 7th month of pregnancy and your baby is breech, come see us today, we can help. It is important to realize that the position affects the baby’s spine as well. Alterations to optimal position put stress and strain on the babies developing spine as well. Another study showed women receiving chiropractic care through their first pregnancy had 24% shorter labor times than the group not receiving chiropractic care. The alignment of your spine and pelvis play a key role in the comfort and the ease of your pregnancy and delivery, respectively. Many times chiropractic care can help a woman avoid an unnecessary C-section due to a breech baby position. Also the need for medical intervention during labor greatly decreases in women who have had pre-natal chiropractic care. This is a wonderful, easy, and gentle way to help your body cope with all of this change, keep you feeling good, and allow you to carry and deliver your baby with more ease and comfort. 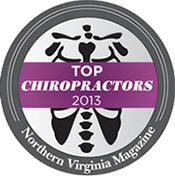 Call our Fairfax chiropractic office and ask for Dr. Lisa today!